Thank you for holding such an event where artists can showcase their work. My name is Roxy Traino, and I work in the film industry in New Mexico. I would like to introduce you to one of my creations done purely for fun. It can be difficult for a working mom to find ways to bond with a teenage son, in this case, the answer was cosplay and comi-con. 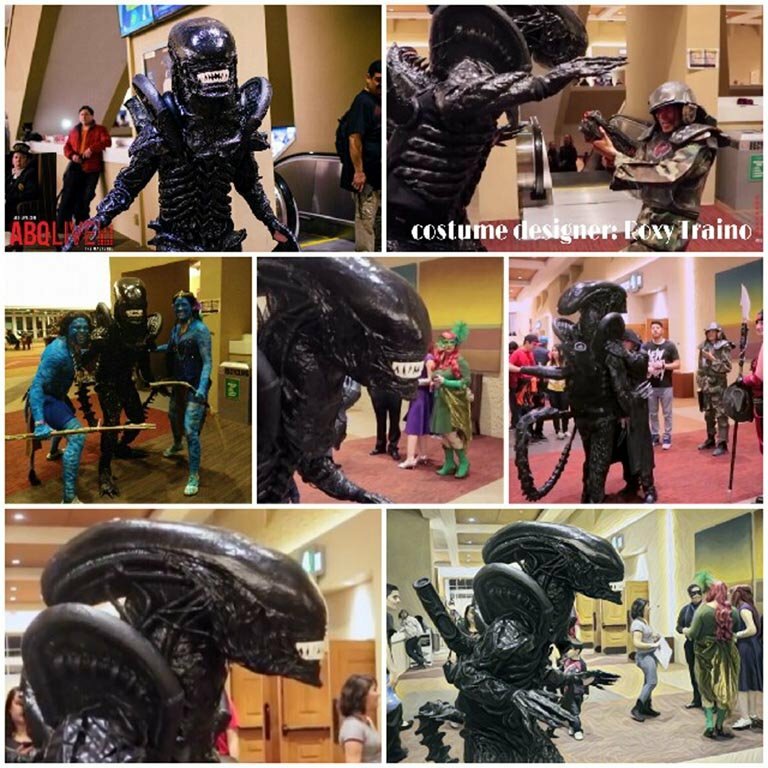 This is our 7'.5" xenomorph full body costume / suit with a 5'.3" tail. 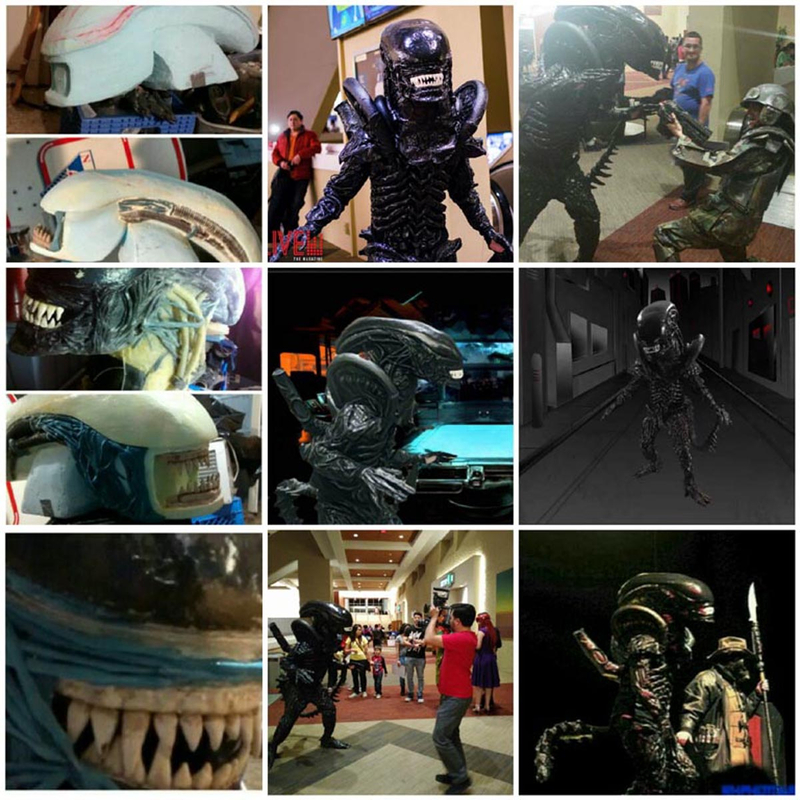 The entire suit is of custom design and built from the inside out. I chose to construct the suit by building outward as a way of creating more organic looking layers. I used a variety of materials to achieve different textures and looks, as well as functionality. The entire costume has been worn for up to 7 hours continuously without overheating the model, and seems to photograph quite well. The core of the body suit is fabric, and then each bone and tendon for the torso, arms, legs, hands, feet, and tail joints were hand cut, beveled, then custom dremeled from yoga mat foam. The head's base structure was carved from blue insulation (hard poly foam), as were the back pipes, fin, shoulder flails, and tail tip. 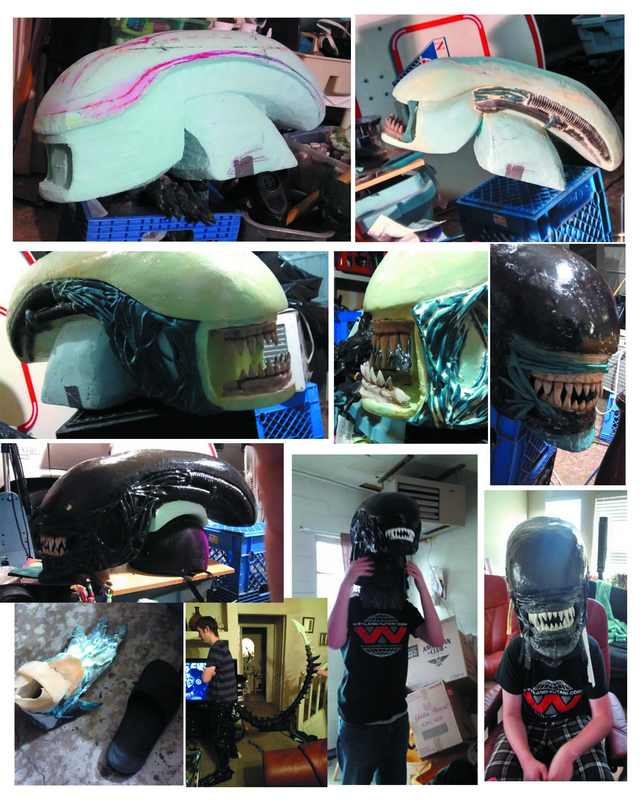 I used latex to make molds for the tubing as well as making custom skin texture pieces which were later used to incase some of the body structure, the head, pipes, tail, and fins. 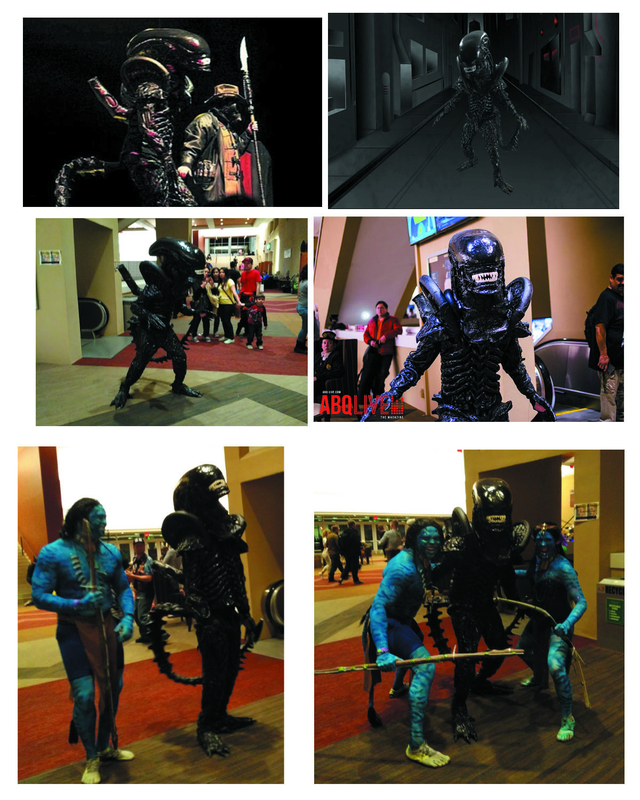 I also used latex molding compound directly on the costume itself to create an over all seal and specific details. The models useable POV is through a mesh area located in interior of the throat at the base of the head, and the head itself, mounts on top of the models head, secured and supported by utilizing a bike helmet, padding, and a chin strap. I added a fishing line rig connecting the tail to the actors wrist which effectively allowed the tail to be controlled and maneuvered. It was a great success at comi-con. Much to my amazement and shear pleasure, out of 40+ entries, we won the 1st place award and there were hundreds of photo opportunities taken. I hope you like my submission and find it worthy of your competition. I look forward to hearing what you think.